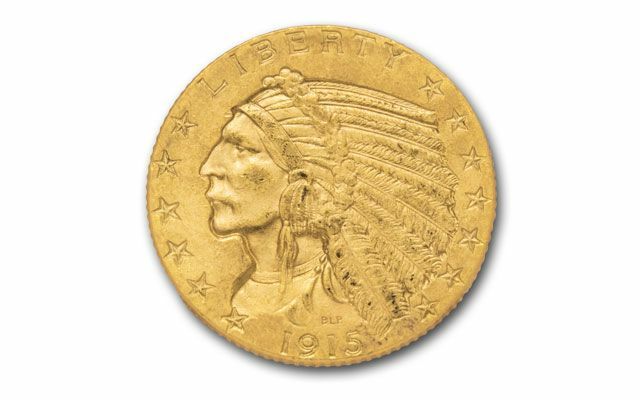 The unique $5 Gold Indians were the only incuse coins ever struck in U.S. history. 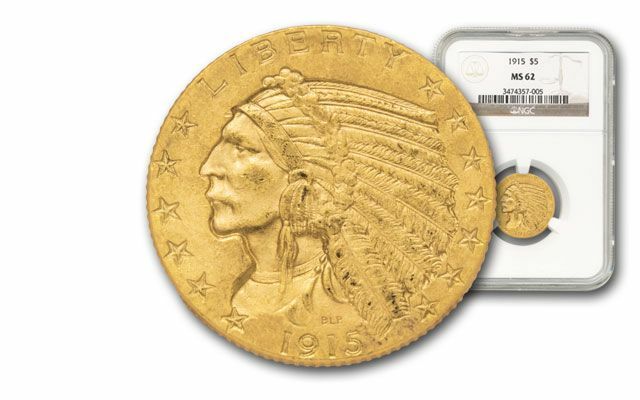 Always popular, they're an elusive quarry for collectors to track down. When they were first released, however, the public expressed concerns about the Indian Head design and cleanliness of the incuse (below surface) images. 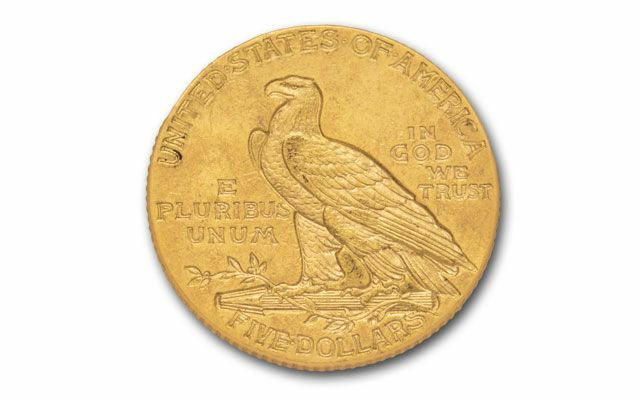 This disdain for the $5 Indians coupled with the U.S. Treasury gold confiscation and subsequent meltdown during the Great Depression, meant few were saved. Nice examples like these $5 specimens are tough to find today. With collector interest in these beauties skyrocketing, order now to avoid disappointment! Dates and mints vary. 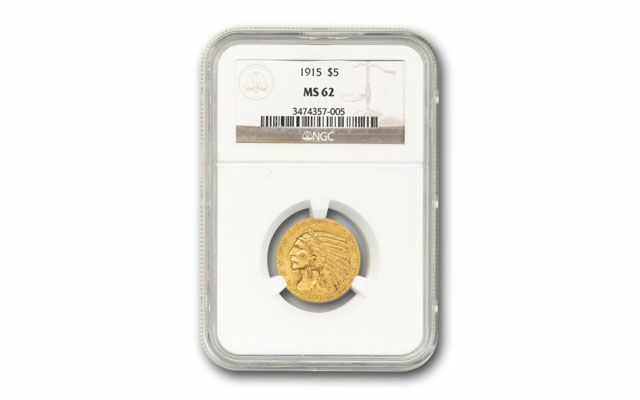 Each is professionally graded in Mint State-62 (MS62) condition by Numismatic Guaranty Corporation (NGC) or Professional Coin Grading Service (PCGS). Grading service varies.